Credit card debt relief can be as quick as a phone call. Allow us to leverage our expertise in negotiating your credit card debt to relief you of heavy burdens every month. Our method allows you to continue to build your credits and at the same time lower your debt. Call us. Our certified credit counselors are ready to help. Are you sick of sinking deeper and deeper into debt by the months? Is it so bad that you are considering filing bankruptcy? Well, it may not be that bad, we can help you make your credit situation better. We are a full-service debt relief company and we are here to help you get back to your feet financially so that you take on a path towards financial freedom. Debt Consolidation is a debt relief process by which we convert your multiple credit card debts into a single debt with low interest rate so that you pay them off with ease, fast. This process will earn you a lower interest rate as compared to when you pay off the debts one by one. It will give you more convenience because you will only have to pay for one loan. We will take time to go through your receipts and bank statements, one by one. Compare your income and expenses. 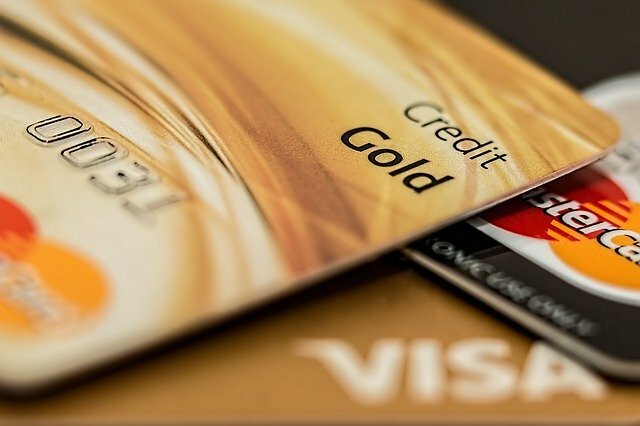 If your income exceeds your expense, then you don’t need a loan consolidation and our financial planners will recommend an even more appropriate plan to help you get out of credit card debts. But if your expenses exceed your income, we will help you develop a good budget plan so that you can optimize your income as you pay your debts off. c) Sum of monthly payments on the cards. Based on the two steps above, we’ll use the information as the baseline for making the best debt relief strategy for you. If you are on the verge of financial instability because you can’t keep up with the minimum monthly payments, you are not alone in this, we have helped many others like you and we can help you out. Here are some tips we apply to help people like you with debt settlement. List down all your debts and write the exact amount and interest against them. Arrange the debts in order starting from the one with the highest interest rate to the lowest. Start by paying the ones with the high interest rates because they are expensive at the end. Reduce on you expenses and consider satisfying only your basic needs and cut off the luxuries. Channel your extra cash towards paying off the loan. Credit cards encourage impulse buying. They don’t let you plan on how you spend your money. Start paying for goods with cash. Channel the little money that you will have saved towards settling your loan. Try exceed the minimum monthly payments. It will be a plus if you double or triple the minimum monthly payments. This will reduce the loan payment period. And it is cheaper in the end because it cuts on the interests. Are you Eligible to a Credit Card Debt Relief? We have many programs that can help you get off your credit card debts fast. How We Can Help You Get Out of Credit Card Debt? · Help you set financial goals and polish your spending habits. We hope you found this information useful to you. Contact as for additional information or clarification. Bankruptcy is a legal consideration you may consider not able to repay debts to their creditors. How Do I Know it is the Right Time to File for Bankruptcy? Before you take the bold step of filing for bankruptcy, know what you’re getting yourself into, because this is a legal procedure that involves the court. Read the rules entailed in filing bankruptcy in fine print so that you don’t miss a point. When it reaches a point that your debtors are suing you, it means you no longer pay your minimum monthly payments because you are not able to. When you file for bankruptcy at this stage, it will be some sort of legal protection from your creditors. After filing for bankruptcy, it means that your creditors cannot subject you to any form of additional collection, not even a lawsuit. When your creditors take the first step of filing a lawsuit, you are at a risk of your account being frozen or your wages garnished. You can stop this by filing for bankruptcy immediately. The court will stop the garnishment and you will get some financial relief. The law doesn’t apply for garnishment for domestic support such as child support and alimony. When your situation forces you to keep turning to your credit card to settle your everyday bills, then it means sink deeper into debts. Before you totally run out of cash file for bankruptcy because an attorney will need between $1000 and $2500 for this legal procedure.